Is GoFundMe Trying to Suppress Christian-Based Campaigns with Its New Rules? Policy changes by the crowd-funding site GoFundMe leaves some wondering if they are trying to eliminate appeals from observant Christians. 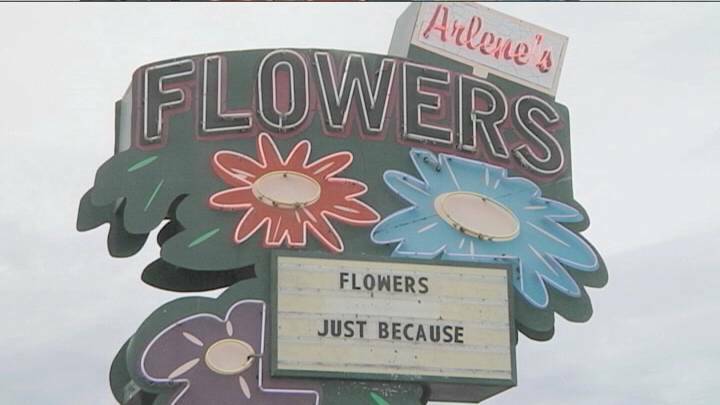 The changes were made soon after fundraising appeals for Sweet Cakes by Melissa and Arlene’s Flowers were removed from GoFundMe. While neither store is accused of a crime, both are facing civil rights claims and judgments because based on their Christian beliefs they refused to provide product for a gay wedding. The Washington Times suggests the changes "would appear to make it more difficult to raise money on behalf of businesses facing crippling civil damages awards after refusing to provide services for gay weddings for religious reasons." (...) Kristen Waggoner, the Alliance Defending Freedom attorney representing Arlene’s Flowers, said in an interview Tuesday that GoFundMe’s decision to drop the page, even though Ms. Stutzman has not been charged with a crime, raises questions as to whether GoFundMe is discriminating on the basis of religion. The video below was taken outside the Supreme Court building and asks people on both sides of the gay marriage issue what they thought of the GoFundMe decision.